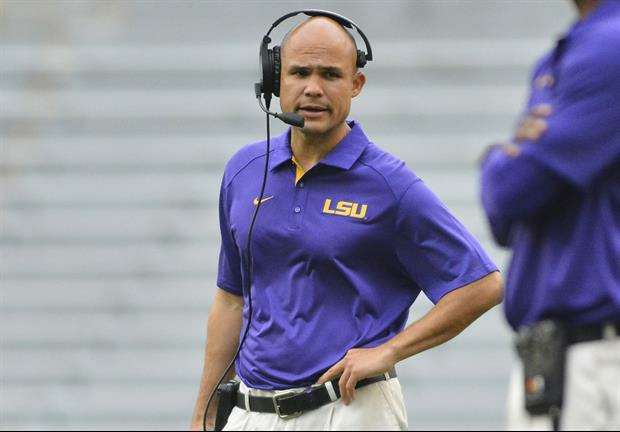 LSU defensive coordinator Dave Aranda's salary of $2.5 million makes him the highest paid assistant coach in College Football, according to USA Today Sports' updated database of the highest paid assistants. Clemson defensive coordinator Brent Venables was No. 2 on list with a salary of $2,200,000, followed by Auburn defensive coordinator Kevin Steele at No. 3 with a salary of $2,050,000. Here is how all of LSU's assistant coaches stack up in the database. You can see the full database here. None of Aranda's defenses has ever been close to the 2003,2007,or 2011 defenses. I am not going to say Aranda is overrated. I will say that he is overpaid based on his product. We faced some very stout defenses this year that I was more impressed with than ours. Most concerning is his inability to recruit/develop pass rushers. Chaisson went down and we had nothing... zip... notta. To demand top pay, you have to do better, IMO. 70+ pts to figgies still hurts. raymond and aranda the only ones worth the price. Raymond needs a raise.Take some from ensminger/gregg/robinson/sullivan. Offensive staff sure didnt earn it! I wouldn't take as much from the offensive guys as I would from the over paid aranda, based on what he's making. HIS defense was hardly anywhere near a "shut down" product, mediocre against the run, and zip on the pass rush. Let's hope he has more imagination in stopping UCF than he did against a 7-4 atm team. Raymond needs a raise pronto. How many DBs has this guy recruited and sent to the NFL? Most of them first round picks. Agreed. When you look at it this way, we should be in the top 5. Are you eating lead paint chips? No way Cregg and Robinson should make more than Raymond. $800k won't bring in the best OC. Duh. If LSU wants another OC the money is there. Cregg and Raymond need a raise ASAP! why does Cregg need a raise?Oline was terrible.